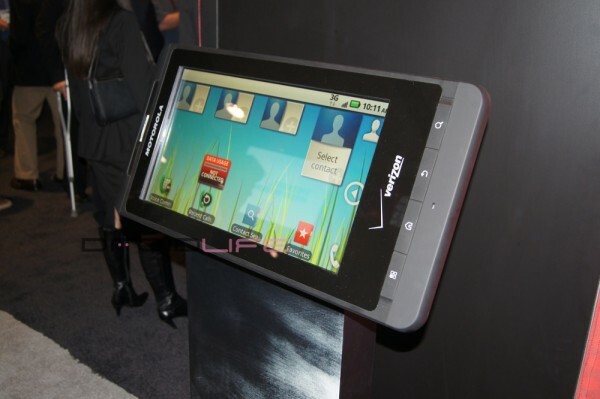 We just got done doing a quick booth tour with Motorola and noticed the device pictured above, a giant Droid X. And guess what? It’s full functional. Our very own Tim-o-tato went hands-on to show you what it’s like to play on something the size of most people’s TVs. The screen worked, most apps worked, the physical buttons actually worked, it can make calls….yeah it’s awesome.